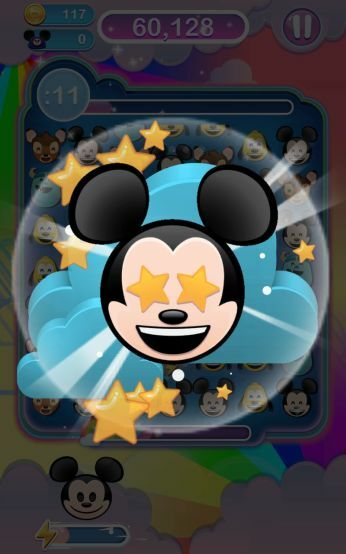 Disney’s Emoji Blitz is a new mobile game for Android and iOS (iPhone/iPad) devices. It is a ‘Match-3’ game, similar to the likes of Candy Crush Saga. Emoji Blitz is more straightforward than many Match-3 mobile games, making it suitable for younger players, but also includes plenty of bonus features including ‘missions.’ The ultimate aim of the game is to unlock all of the Disney emoji, which can be used in your messaging apps and phone’s keyboard. Several different types of power-up tiles are available in Disney’s Emoji Blitz, giving the game a unique spin on the classic matching game. They have multiple functions for each as well, for example, swiping a lightning bolt up will clear a lane vertically, whereas swiping it to the sides will clear everything in the horizontal. Matching two power ups together have an even bigger impact. You can match up the same type of power up or mix and match power-ups. For example, a double lightning bolt will clear three rows of tiles. Keep an eye out for the vibrantly colored rainbow star that enables you to clear every tile of the type you swipe it into. This is great for building up your special or for cleaning out a massive amount of tiles for big points. Soon as it is available so you can start refilling the meter again. Another tip about power ups is they freeze the game time; this gives you a brief moment while they are activating to look for a quick set of combos to match up. 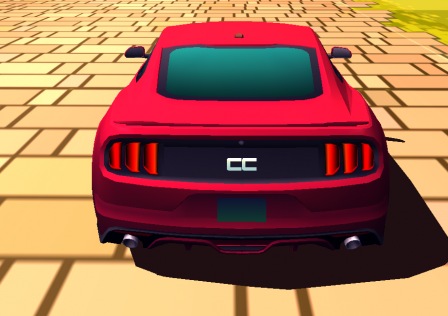 There are quite a few items to collect in the game, collecting them will give you various rewards that you can find from the main menu. This is where you’ll get a few gems to help you open the diamond treasure chest. Do your best to collect items when you can on each play through. Lightning bolts are pretty useful in clearing out a line so you can get an item to the bottom of the board. Do not overlook how a combination of specials could help you get an item to the bottom of the board without wasting time. Try focusing on matching the tiles towards the bottom of the screen; this should help you build up combos with the Emoji’s as they fall the screen. This is also a good way to save special attack tiles. If you get stuck when it comes to matching up the Emoji’s, wait a moment and a match up will wiggle, giving you a hint to a match up you can swipe. Try setting up 4 or 5 tile matches for bigger bonuses as this will trigger special. How to use the Emoji’s you unlock on your Phone. After you have started unlocking Emoji’s you can allow the app to access your keyboard. Go to your keyboard settings in game and tap and hold the earth globe icon and select the Disney Emoji Blitz icons there. Now you can use the Emoji you have unlocked from the game on your messages. Your lives are time-based so try to prioritize the mission objectives to get their rewards. Completing them allows you to get to the next mission and it will make sure you have a good flow of gem rewards and coins coming while you play the game. Completing missions is how you unlock the Daily Challenge as well. This is not only increases your overall level, it but will also raise your Blitz bonus from leveling up. Getting on the leader boards is part luck and part buying a boost. An easy way to grab extra points to pad your score is to get the additional timer boost and extra score. Paired with the right Emoji special power, this leads to some major scores. You can gain up to 10k coin by reaching first on the leaderboards and Linking your Facebook account to the game will display your name and picture on top of it. Below are the list of currently available characters in the game. Each one has their own unique special power. Unlockable through the treasure chest randomly. An emoji to keep your eye out for is the White Rabbit as his special ability is adding 1 second for each match made while his power is activated. This is really strong. You can also get duplicate Emoji’s which will increase their level, which changes how many points you get from matching those tiles. Disney has created a game that has been systematically engineered to try and get you to pay as much money as possible why you pay.